Many of you including me doesnt like to enter password each time we start our system. 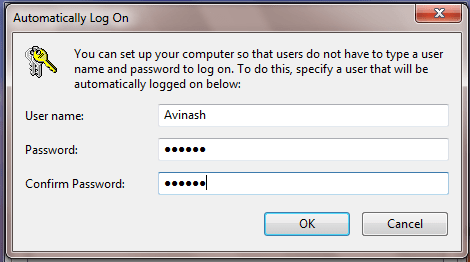 For me, I am too lazy to enter passwords when windows start and i have to enter password associated with Windows user ID to log in. 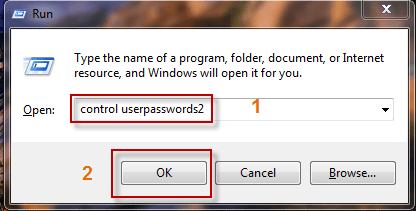 In windows 7 also, you need to enter password each time you start your windows. For lazy guys like me, a automatic login into Windows every time with password being entered automatically when its started is a good option to have. 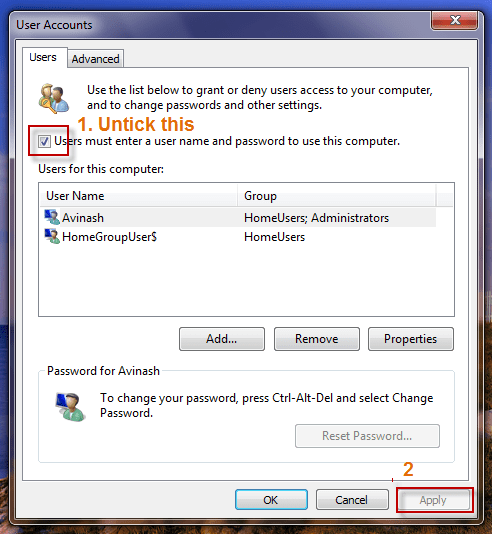 Here’s how you can enable auto login to Windows 7 , without leaving it unprotected without any password. 1. 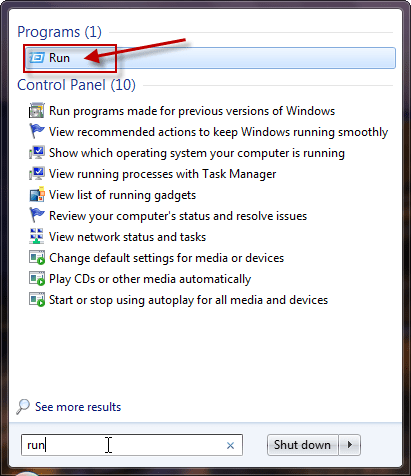 Click on Windows Start button and type “Run” in search box. You will Run program at the top. Click on Run at top. 2. In the ” Run” Window type this command ” Control userpasswords2 ” without the quotes and click OK.
3. After this, a window called ” User Accounts”. Now, Untick the option of ” users must enter a user name and password to use this computer” and then click apply. 4. After you click apply, a window will pop up with user name and password. Just fill this with the password associated with this account and save it. That’s all. After doing all this, when you start your system next time then it wont ask for password to log in. It will automatically log in the user account you choose above. laziness is the zenith of efficiency…..